The seasons have come and gone in Todd’s Backyard. Each year seems to blend together with the predictable cycles of blossoming growth and barren dormancy, the frost and the heat, births and deaths. It’s fun to witness and document this magical process with photos, even though we may have dozens of similar photos from year to year: the blazing sunsets, blossoming cactus, resplendent reptiles, cute critters…etc…etc. It’s a rare moment when you come across something unexpected and completely new. So, it was last week, at the peak of the monsoon season, that we stumbled upon an interesting scene. A scene rarely seen in the desert. It was hidden away under a fallen palm frond. 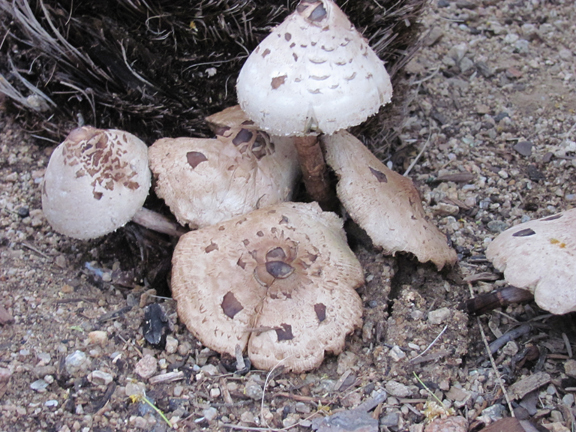 Hmmm….we do get mushrooms popping up here and there in the summer rains, but we’ve never seen an entire toadstool patch/grove/or whatever it’s called. It brought to mind fairy tales and folklore, not usually associated with the prickly hot desert. Could this be a gateway into a fantasy world we had yet to discover?…. I think yes…Todd thinks I’m crazy! 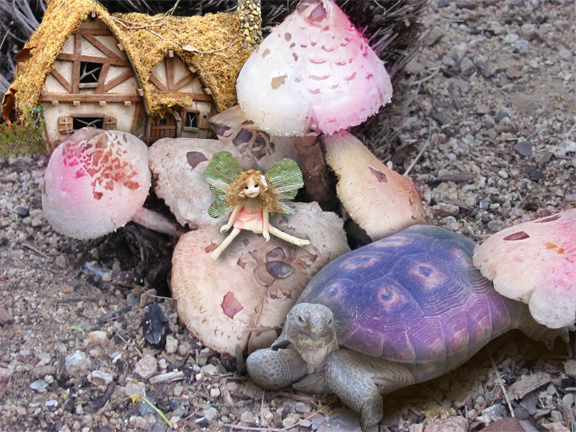 So check it out….I discovered a fairy tale kingdom in Todd’s Backyard with a cast of characters that has kept me entertained for the past week or so (on my computer)! 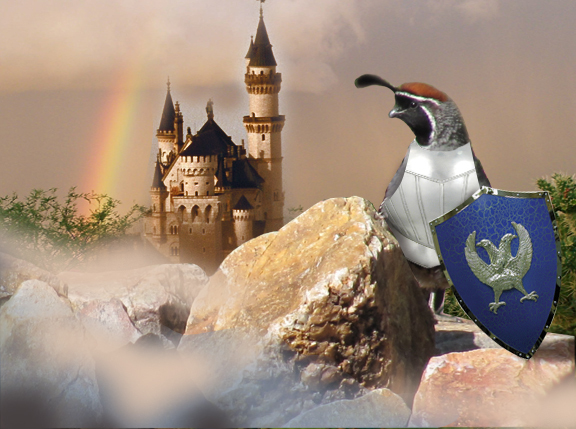 The King’s valiant knight, Sir Quailiant, guards the kingdom with valor and vigilance. 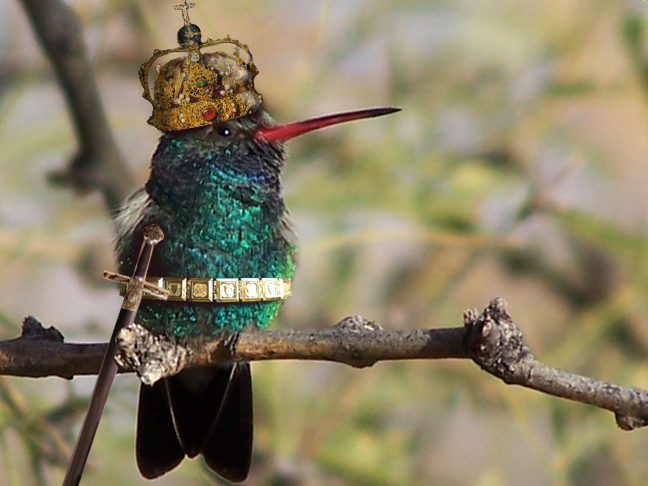 Protecting his brood from the forces of evil, such as roadrunners and bobcats! 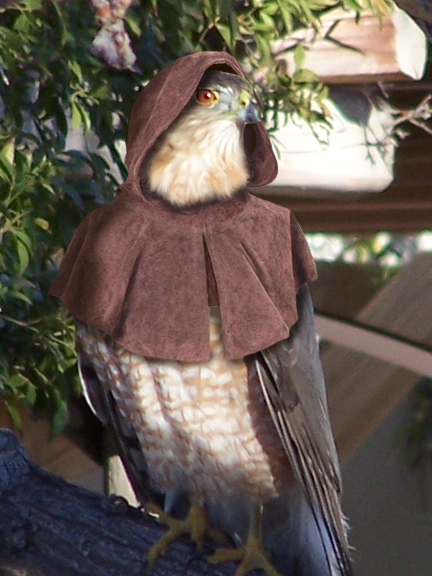 The kingdom’s feathered foe lies wait in the trees. His stealth and cunning ways have kept him fat and happy! Unlike his folk-lorish inspiration, this bloodthirsty outlaw eats the rich…. and the poor.. and he doesn’t share! The only thing he gives is a good scare! Jairy. Always entertaining, never scary! 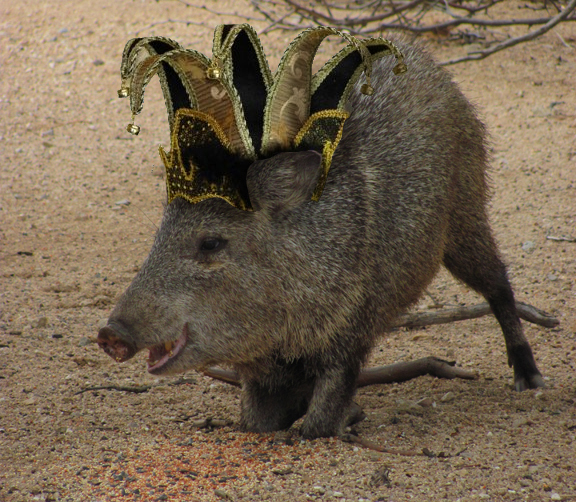 Although he is a bit mischievous, he puts the Ha Ha in Javelina! 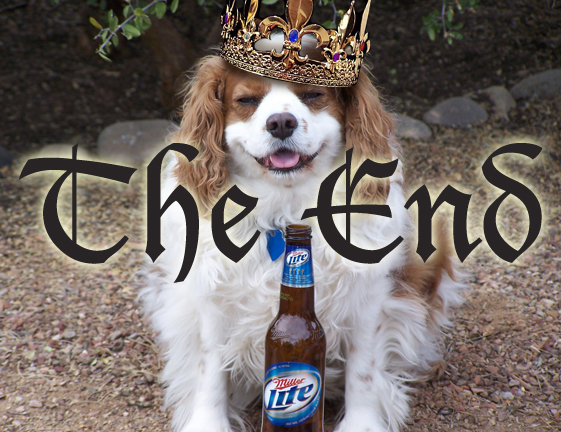 But it’s this prince, that presumes himself the star of Todd’s backyard Kingdom! He would be King! (Charles) if he were not so spoiled! Or perhaps its just the beginning! Another chapter may be in store if opportunity comes knocking… at the backdoor! HuhZaa! ← Hare Racing Moments!…Go Gert, Go! Ok– you opened that wierd Skull Vodka, didn’t you…! ?